The familiar names are all still on the annual influential ranking of the world’s best universities by Times Higher Education (THE). But the editors are warning countries not to get complacent – especially when it comes to falling levels of federal investment in university research. 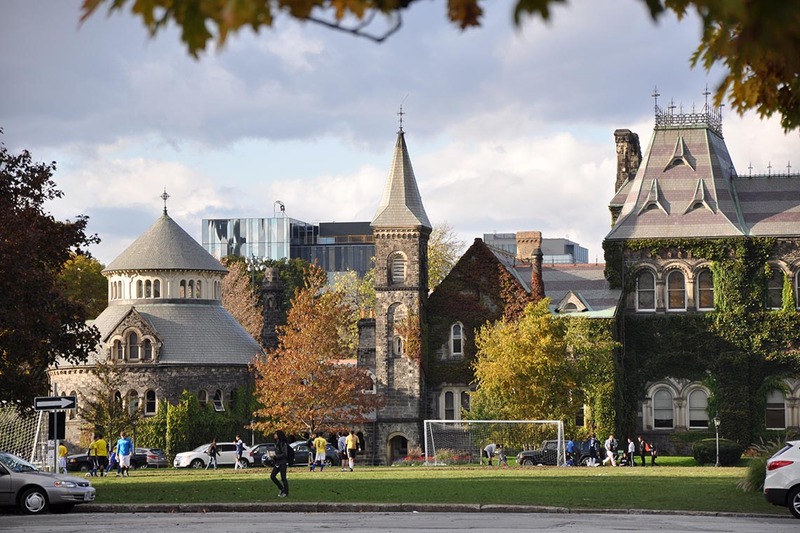 In the 2018 THE ranking released Tuesday, the University of Toronto maintained its 22nd position, tied this time with the National University of Singapore. U of T also remained the top Canadian university for the eighth year in a row and in the top 10 of publicly funded universities worldwide. “We’re proud the University of Toronto has once again been named one of the top global universities, which demonstrates the tremendous impact of our research and our world-class performance in teaching,” said Vivek Goel, U of T’s vice-president of research and innovation. The number of institutions THE rated increased this year to 1,000 – for the first time in its 14-year history – and included locations around the world, from Zurich to Singapore, Peking to Princeton. Oxford University was once again ranked the world’s best post-secondary institution of higher learning. Canada had six institutions crack the top 200 on the THE list, on par with France and Sweden. Australia had eight, the United Kingdom 31 and the United States was tops with 62. Thanks to huge increases in funding and hiring in recent years, China now has seven universities ranked among the top 200 in the world – and three in the top 30 for the first time. Research funding issues are a real concern for countries that have fared well on THE’s ranking, the company’s news release stated. For example, universities in the U.K. face an uncertain future because of Brexit and the possible loss of EU funding. Australia's position in future years “may suffer if the government goes ahead with plans to cut funding by 2.5 per cent, which would result in an A$2.8 billion loss in income across the sector,” THE said in its release. In Canada, researchers and universities across the country are currently pressing the Trudeau government to act on all 35 of the recommendations made by the Canada’s Fundamental Science Review panel, led by former U of T president David Naylor. The panel, which issued its report in April, found per capita federal investment in fundamental science has slumped in recent decades and recommended a set of sweeping changes. To date, Federal Science Minister Kirsty Duncan has said the government will act on some recommendations but has stopped short of promising to act on all 35, including a $1.3-billion boost in federal research funding over four years. “For Canada to continue to be seen as an important international leader in critical research, our universities need to have all 35 of the Naylor report recommendations acted upon by the federal government,” said Goel. Last month, U of T re-emphasized the importance of implementing all of the Naylor recommendations “to strengthen the foundations of Canadian research” in its pre-budget submission to the federal government. U of T welcomes the report’s call for greater investments in discovery research. U of T also highlighted the role fundamental research plays in enhancing productivity, driving economic growth and supporting the development of innovation superclusters in everything from making key medical discoveries to helping companies solve R&D challenges to supporting the creation of new startups by its students and researchers.